Posted June 11, 2018 by Sara. MACUMA is thrilled to announce the addition of William Kennedy of HUD FCU and Francois Verleysen of Signal FCU to the MACUMA Board of Directors. Selected by appointment to fill two vacancies, both Bill and Francois will have the opportunity to run for the Board in the election this fall. Please join us in welcoming both of them to the Board! 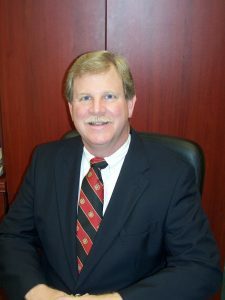 William (Bill) Kennedy is CEO of HUDFCU. He started his credit union career in 1986 as CFO at Department of Justice FCU, after working as Senior Accountant at the FSLIC Receivership Division under Mr. William Linane Sr. who encouraged him to bring his talents to credit unions when the FSLIC Division was moving to Atlanta. Nationally and locally, he is heavily involved in giving back to the credit union movement and community at large. He is a founder and in his sixth year of running the quarterly Mid Atlantic Finance and Accounting events held at the Association. Other past experience includes being elected by CFO peers to two separate terms on the CUNA CFO Executive Board; ten years of full and part time College Business Faculty, NJ CU Foundation Board, Police Athletic League Board member/Treasurer, Argyle Country Club Board member/Treasurer, Fellowship of Christian Athletes (FCA) Camp and Huddle leader, Board member of Maryland Credit Union League, and Board member/ Treasurer of National Capital Central FCU. 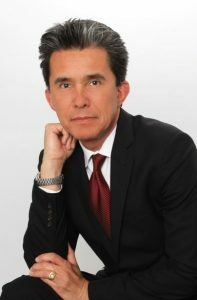 Bill holds an MBA through the Executive Program at Loyola College, additional Masters Level Accounting courses from Liberty University, and a Bachelor of Science in Business and Accounting from the University of Maryland, College Park. Bill and his wife Ann (a two-time cancer survivor) live in Gainesville, Va. During his free time Bill enjoys golf with his adult children, serving the FCA, and is itching to get golf clubs in the hands of his four grandchildren. François Verleysen is the CEO of Signal Financial Federal Credit Union who is dedicated to servicing and delivering a personal and memorable experience to members. François has over 33 years of experience in the financial services industry, bringing a unique perspective that influences culture and positive change. At Signal Financial FCU he has been instrumental in implementing strategic growth plans, introducing a relationship banking model, and developing an innovative branch design that enables engagement. François holds a graduate degree in Retail Banking from the University of Virginia and graduated from the University of London with a concentration in mathematics and zoology.